As a patient receives treatment and is on the road to recovery, it's important that the patient is able to take care of him or herself after being released from medical care. To that end, nurses should be caring for the patient while, at the same time, be helping the patient become more independent and reach goals and milestones on the road to health. Virginia Henderson's Need Theory addresses this issue and helps nurses help patients so that they can care for themselves when they leave the healthcare facility. Virginia Henderson was born on November 30, 1897 in Kansas City, Missouri, and was the fifth of eight children in her family. In 1921, Henderson graduated from the Army School of Nursing at Walter Reed Hospital in Washington, D.C. In 1932, she earned her Bachelor's Degree and in 1934 earned her Master's Degree in Nursing Education, both from Teachers College at Columbia University. Henderson died on March 19, 1996. After graduating from the Army School of Nursing, Henderson worked at the Henry Street Visiting Nurse Service for two years. In 1923, she started teaching nursing at the Norfolk Protestant Hospital in Norfolk, Virginia. After earning her Master's Degree, she stayed on at Teachers College as a faculty member, where she remained until 1948. After 1953, Henderson served as a research associate at the Yale University School of Nursing. Henderson received Honorary Doctoral degrees from the Catholic University of America, Pace University, the University of Rochester, the University of Western Ontario, and Yale University. 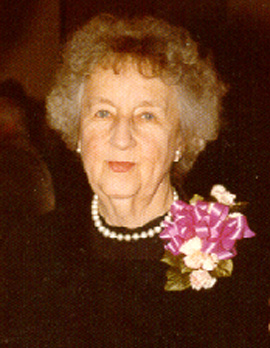 In 1985, Henderson was presented with the first Christianne Reimann Prize from the International Council of Nurses. She was also an honorary fellow of the United Kingdom's Royal College of Nursing. The same year, she was also honored at the Annual Meeting of the Nursing and Allied Health Section of the Medical Library Association. Henderson is well known for her definition of nursing, which says, "The unique function of the nurse is to assist the individual, sick or well, in the performance of those activities contributing to health or its recovery (or to peaceful death) that he would perform unaided if he had the necessary strength, will or knowledge." Henderson's Need Theory emphasizes the importance of patient independence so that the patient will continue to progress after being released from the hospital. Henderson described the role of the nurse as one of the following: substitutive, which is doing something for the patient; supplementary, which is helping the patient do something; or complementary, which is working with the patient to do something. All of these roles are to help the patient become as independent as possible. Breathe normally. Eat and drink adequately. Move and maintain desirable postures. Select suitable clothes-dress and undress. Maintain body temperature within normal range by adjusting clothing and modifying environment. Keep the body clean and well groomed and protect the integument. Avoid dangers in the environment and avoid injuring others. Communicate with others in expressing emotions, needs, fears, or opinions. Worship according to one's faith. Work in such a way that there is a sense of accomplishment. Play or participate in various forms of recreation. Learn, discover, or satisfy the curiosity that leads to normal development and health and use the available health facilities. While a nurse's job is to care for patients, it is also to help patients be able to care for themselves when they leave the healthcare facility. This will help ensure that the patient has fewer setbacks during recovery from the illness or injury, and will help the transition into self-care be smoother since a nurse will be helping and supervising along the way until the patient goes home. For those nurses who work in rehabilitation, Henderson's theory is one that can be easily used every day, and it will be the patients who benefit from it.